And it begins! Here’s my first issue to play with! How it was chosen: Random Number Generator. Entered the range of years I have in my collection, then chose the nearest year that I had a November issue. In this case it worked out extra well because it is a bit early in October to start a November issue, but this particular year has them combined. The random number generator chose 1990, and I didn’t have an 88, 89, 90, or 91 November issue. Thoughts: This issue is new to me, just got it a few days ago, but it is probably the least favorite in my collection. The most recent issues just don’t have the same vibe as the old ones. 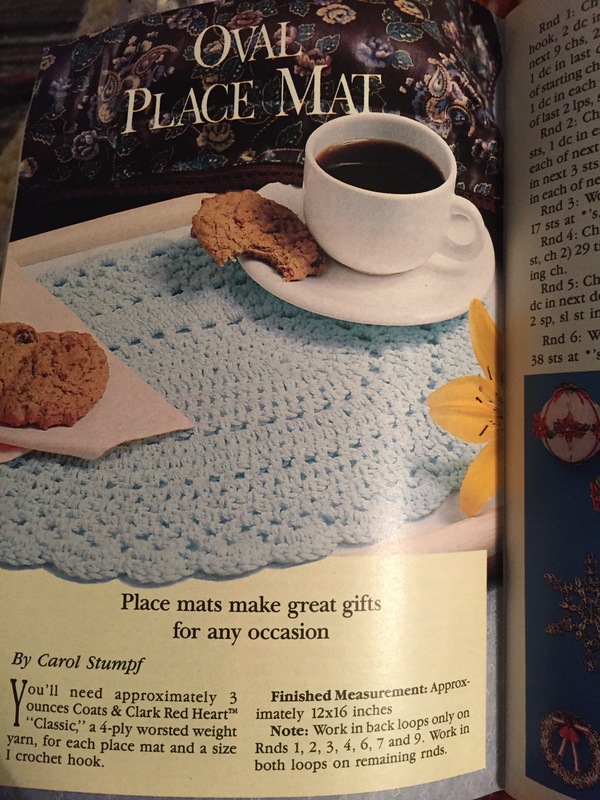 There is much more marketing, including several pages of catalog style stuff at the end. 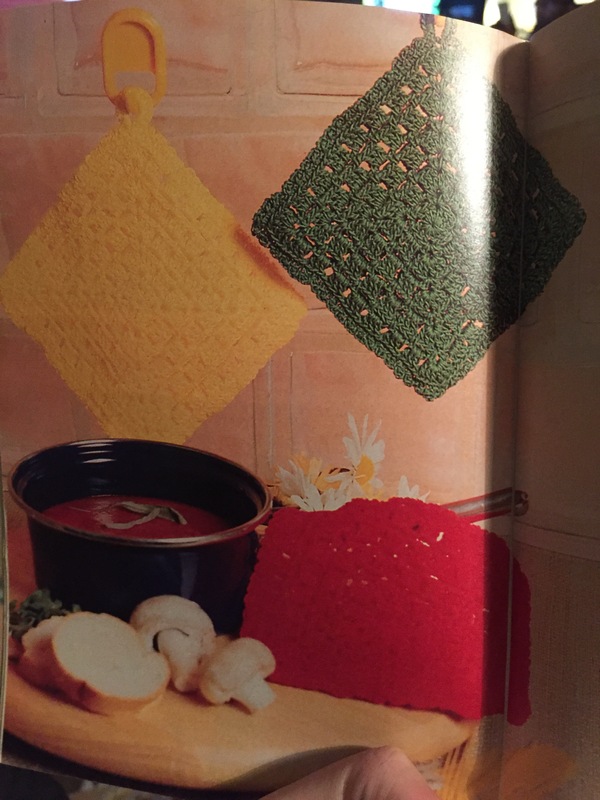 They also ditched the gardening section, and have far fewer recipes. There isn’t anything in the entire issue that I’m in love with. This issue features mostly needlework, one kids craft, and a random craft kind of craft. 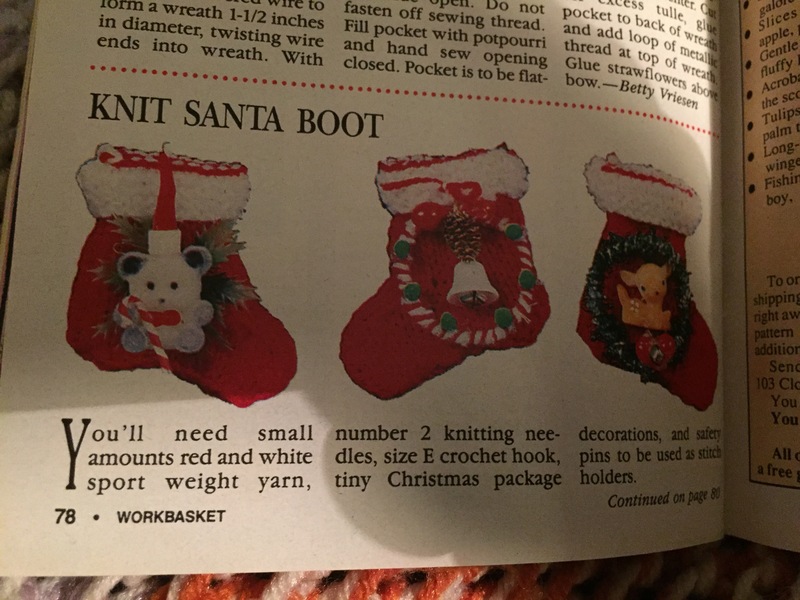 I’m hoping to make these, plus maybe a few small christmas ornaments, and maybe a kids sweater. These projects will be featured here on the blog, as well as any extras from the issue that I do. Also despite the October part of the issue there is only one craft that is fall related or Halloween related, I found that interesting. 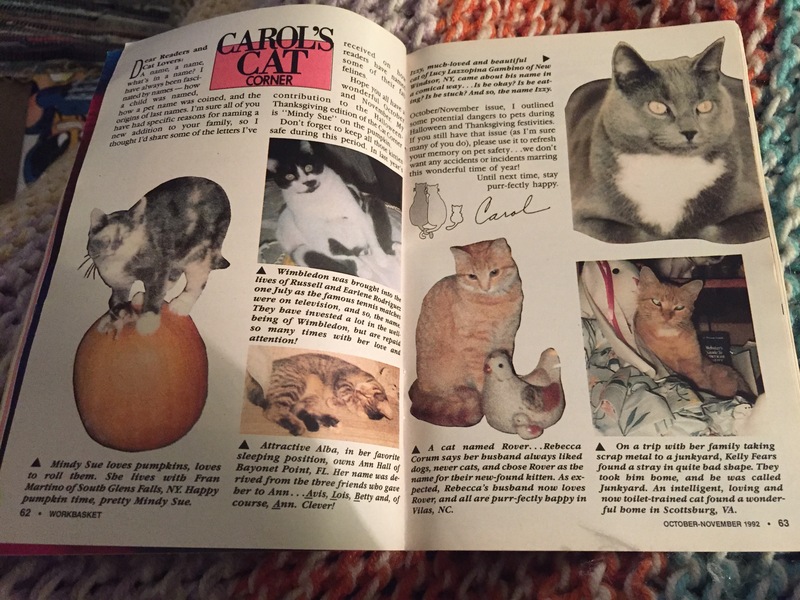 Two page spread of readers cats. Favorite Weird ad: Ahh the early 90s, a time of ducks, cows, and country decor. 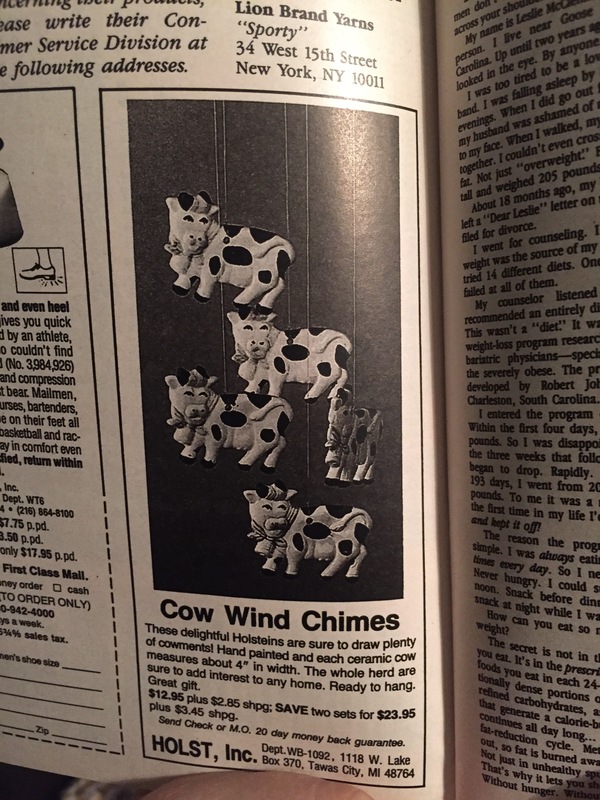 There is also a cow clock with “swinging udder pendulum!” Apparently 1992 was the year of tea diets, with several advertised. All in the all the ads are fairy predictable this issue, mostly because it wasn’t THAT long ago. Well within my lifetime. Spaghetti Fritata and maybe Spaghetti with Cauliflower. There wasn’t any photos for these. So stay tuned. There is one ad item I intend to track down on ebay. 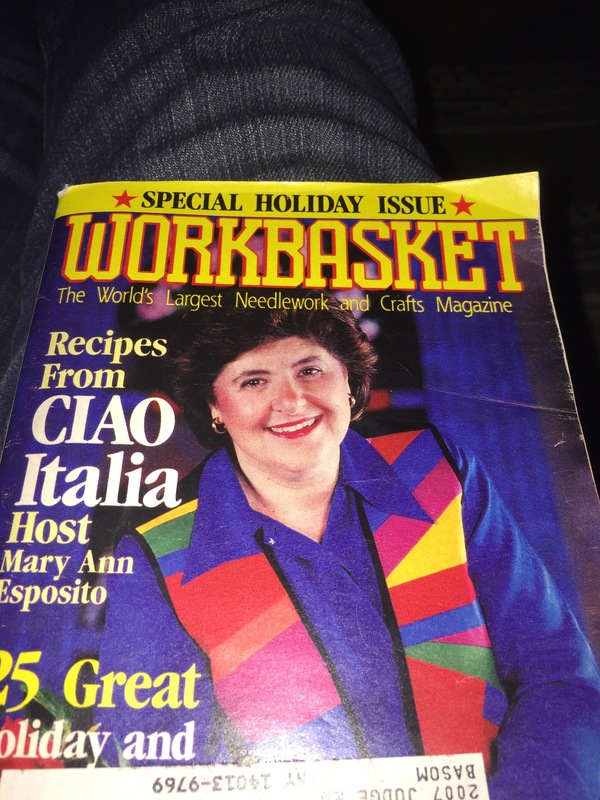 You can follow along as I make the projects, and see if spaghetti fritata is a rave or a ralf.